Due to the linguistic isolation of Hungarian, its cultural and literary wealth has become trapped in a Slavic and Germanic slurry surrounding its terrain. Teleky, as a Canadian/American third-generation Hungarian, seeks to fit his understanding into the familiar pattern of the ethnic revival of interest among those far removed from their original homeland. As an Irish American myself, I found his searches appealing to me also; the comparisons and contrasts among different sensibilities and the struggles to regain our grasp on difficult ancestral tongues brought his essay on learning Hungarian close to my mental home. His chapters on stereotypes and Joe Esterhazy's film "The Music Box" I found particularly impressive for their mix of erudition and unforced satirical/incisive commentary. Dismantling the kitsch and tchotkes assembled by expats and Hollywood seems to be a notable skill for Teleky, and makes for his best work here. For an academic, he writes surprisingly well! That is, his essays aim for the "educated general reader" instead of the professoriate. Always clear, modest, and focusing upon the subject more than himself--even when the subject is himself! 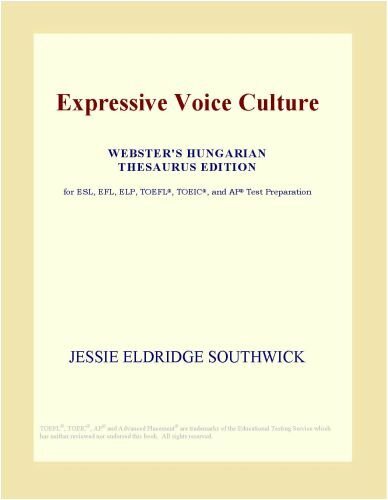 Many nationalities feature such essayists seeking to connect themselves back to their roots; Teleky's collection appears to me--as an outsider to this nation's studies--to fill this necessary niche in the Hungarian section of the few English-language studies found on most library or bookstore's cultural shelf. For those of us not able to enter into the Magyar language, Teleky's crossing of the boundary between the Anglophone world and the Hungarian realm shows how valuable that encounter can be. I give this book four, not five, stars only because of personal bias; some of the essays--however clearly conveyed--simply failed to grab me. I doubt, for instance, that after reading Teleky on Peter Esterhazy's daunting post-modern novels I'll rush out to read any. Teleky's promotion of Esterhazy seems a bit half-hearted, as if many of this novelists' tricks dazzle less once his legerdemain has been revealed as imitations of other European literary magicians over the past century or so. Not that many revelations await him, for instance, when he finally journeys to Hungary in 1993 for the first time. But his refusal to glamorize or over-interpret what he sees is refreshing. He keeps his perspective and sense of humor. And of balance. By avoiding theorizing and refusing to inflate his own stature as an observer, he offers honest essays each "assaying" the value of the little treasures and trinkets he puts under scrutiny as we watch. I'd also recommend Monica Porter's "The Paper Bridge" for another expat's visit for a month circa 1980, and Zsuzsanna Ardo's "Culture Shock: Hungary" for two other books interpreting Hungarian mores and sensibilities for the rest of us, whatever our bloodlines. The arrival into the Carpathian Basin...the conversion to Christianity...the glory years of wealth and power...the Mongol invasion...the tragic battle of Mohacs, followed by 150 years of Turkish rule...the struggle and compromise with the Hapsburgs...wars of liberation led by Rakoczi and Kossuth...Hungary's dismemberment at Trianon in 1920...the Horthy era...Communist rule..."glory in defeat"--the Revolution of 1956...the struggle for survival of Hungarian ethnics in neighboring states..."glory in victory"--the bloodless revolution of 1989...a "nation without boundaries." -Saint Stephen, who Christianized a nation of pagan warriors -Janos Hunyadi, the Defender of Christendom-Matthias, the Renaissance King-Ferenc Rakoczi, who held Europe's largest empire at bay with his ragtag army for eight years-Louis Kossuth, who was compared to Moses and Washington during his triumphant tour of America in 1851-Queen Elizabeth, who became Hungary's "Guardian Angel" during her bittersweet life.-Cardinal Mindszenty, who defied Communist rule-and many others. The Spirit of Hungary also provides a panorama of Hungarian culture, including its language, music, art, and literature. Preparing for a trip to Hungary, I enjoyed Sisa's rather old-fashioned narrative history. Suprisingly, the opening chapters proved gripping, filled with enthusiastically rendered anecdotes about early rulers, medieval battles, and lots of double-crossing diplomats and nobles. There's material here for a dozen epic (English-language at least!) novels or movies. Extracts from historical novels sprinkled throughout the book from otherwise untranslated Hungarian authors spice up Sisa's entrees vividly. As Hungary becomes its own empire, then falls under Turkish and Habsburg dominance, the story keeps pace. When the Austrians take over, and nationalism emerges, you root for the heroes even as Sisa fairly tries to show how other Hungarians and minority peoples allied with the imperialists for their own reasons. Distinguishing the "state" from a "people" and a "nation" clarifies his presentation for Western readers who may lump these terms differently than they apply to Central Europe and the Balkans. I found the latter part of the book a bit less engrossing; I expected more on 1956 and especially the Kadar period up to 1989. This post-revolt stage seems glossed over too quickly, even as other sections elaborate (especially in the second and third editions) in too much detail for the novice diplomatic and territorial confrontations with Romania, the former Czechoslovakia, and the Balkan states regarding Hungarian minorities and the aftermath of Trianon. This material may better suit political students of this period than the first-time reader wanting a panoramic view of Hungarian history and culture. The absence of tanchaz music and the 1980s folk-music revival (Muszikas, Marta Sebestyen, romany/gypsy artists for example) bringing Hungary onto the "world music" scene means that you find a lot deservedly on classical music but not its modern folk offshoots and grafts. However, plenty of coverage of art and literature balances this omission, I suppose. Written with obvious love and passion, yet remaining fair-minded about, say, the mixed blessings and upheavals Jewish immigration caused in the 19th c., the betrayals of its leaders, or the demands of minorities within Hungary's shifting borders, Sisa's book filled a need for a popularly aimed, solid work--belying its coffee-table size and rather rough-hewn cut-and-paste (pre-word processing) layout. Best read a few chapters at a time, the old-fashioned way: in a comfy armchair, propped open on your lap. I had the opportunity to read the book's third edition, appeared in 1995, comparing it with its original edition and found it considerably improved. Besides giving very good data about the facts of Hungary's history, it isalso spiced with chapters from famous historical novels, which gives anadditional insight to some important historical moments (I liked specially"The pagans"). 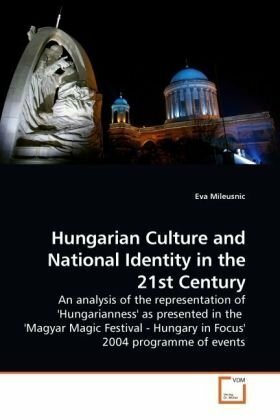 It also contains an ample panorama of Hungarianculture, an explanation of the origin of Hungarian language and adescription of Hungarian music, literature and art. 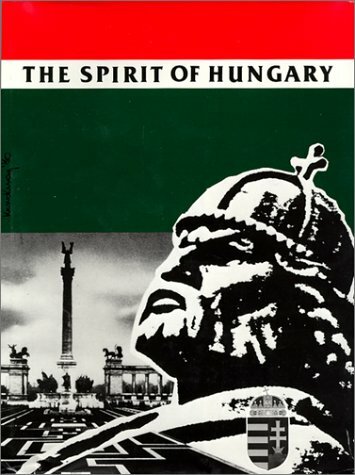 A very recommendablebook for all persons, who wish to receive an insight to Hungary's history,past and present. After five years, a new edition, with updates of thelatest events, like the 1100 years of the establishment of Hungarians inthe Carpathian basin and the Millenium year of St. Stephen's crowning,would be welcome. Most thorough, unbiased accounting of Hungarian History. This digital document is an article from Canadian Ethnic Studies Journal, published by Canadian Ethnic Studies Association on June 22, 2000. The length of the article is 1118 words. The page length shown above is based on a typical 300-word page. The article is delivered in HTML format and is available in your Amazon.com Digital Locker immediately after purchase. You can view it with any web browser. 14. The forgotten cradle of the Hungarian culture. This digital document is an article from East European Quarterly, published by East European Quarterly on December 22, 2001. The length of the article is 5333 words. The page length shown above is based on a typical 300-word page. The article is delivered in HTML format and is available in your Amazon.com Digital Locker immediately after purchase. You can view it with any web browser. Title: The German-Hungarian revision of textbooks. This digital document is an article from The Modern Language Review, published by Modern Humanities Research Association on July 1, 1999. The length of the article is 847 words. The page length shown above is based on a typical 300-word page. The article is delivered in HTML format and is available in your Amazon.com Digital Locker immediately after purchase. You can view it with any web browser.